Experience the glitz, the glam, the beauty and the history of stunning Memphis Tennessee with your children on our exciting day in the heart of America. Kids as well as adults will love the unique experience that is Graceland, while Beale Street will give everyone even more to sing about. Let music and history come alive as your family lights up to the rhythms of Tennessee! No trip to Memphis is complete without visiting the mansion and estate of the King of Rock and Roll. Walk through the famous front gate, shaped like a book of sheet music, and enter the private world of American legend Elvis Presley. Next to his family and his music, Graceland was Elvis Presley’s greatest pride and joy. The first stop in the mansion is the foyer, where you will see Elvis’ living room, dining room, kitchen and his mother’s bedroom. The Jungle Room resembles Hawaii, where Elvis often vacationed and performed, and has green shag carpets and exotically carved wood. The Trophy Building houses an impressive collection of Elvis’ gold and platinum records, as well as other memorabilia from his career that highlights the amazing story of this American icon. See Elvis’ iconic jumpsuits and awards in the Racquetball Building, where Elvis used to enjoy his leisure time. After touring the inside of the mansion, visit the Meditation Garden where Elvis and members of his family have been laid to rest. With over 3,500 animals representing more than 500 different species, the Memphis Zoo has plenty of excitement for the whole family. The zoo is divided into three zones that feature a variety of natural habitats. Teton Trek houses timber wolves, grizzly bears, elk and other animals native to Yellowstone National Park. Watch giant polar bears roam, sea lions play, and bald eagles soar at the Northwest Passage exhibit. Primate Canyon is filled with playful orangutans, gorillas, monkeys and baboons. Memphis Zoo is just one of four zoos in the U.S. to display giant pandas. Watch these loveable bears eat, sleep and play in the China exhibit. The African Veldt features some animal favorites, including African elephants, giraffes, zebras and other unique animals who are native to Africa. Cat Country is home to speedy cheetahs, ferocious lions and beautiful tigers. See vibrant marine life in the Aquarium and amazing reptiles and amphibians in the Herpetarium. This zoo provides wild fun for visitors of all ages. Beale Street in Downtown Memphis is one of America’s most famous streets. There are three blocks of nightclubs, restaurants and retail shops, providing something for everyone to enjoy. With a variety of delta blues, jazz, rock and roll, R&B and gospel, Beale Street is the heart of Memphis music. In addition to live entertainment, Beale Street hosts several festivals and events throughout the year. Make sure to check the event page to see if any events are happening the day of your visit. Beale Street is full of soul and character and is a Memphis must see. 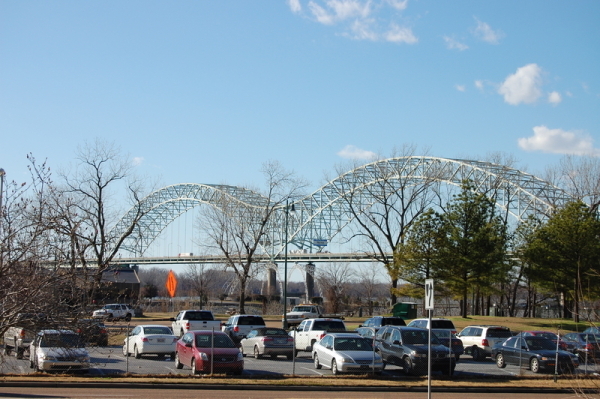 Interested in booking or planning a vacation to Memphis right now? Check out some of the amazing offers currently available for airfare and hotels at Kayak, Orbitz and Priceline. See more lodging options at Hotels.com and Hilton. Get started on your next trip today!